I went to college in Vermont. A place with lots of snow and mountains and trees. I loved it so much I went to college in Vermont twice! I really like snow. I’m not so happy about the most popular “snow” pictures on Instagram, so I cheated a little and I’m going to look at the most recent pictures. They are a little better, but they don’t capture the stillness and the silence of snow. Or the beauty, not really. You have to experience snow . If you hold your breath, just a little. Those first few moments when you breath in, count to three then ever so slowly let your breath back out. Snow is something like that 1-2-3. And it’s cold. A cold you can taste. And how good it feels when you warm up again. I guess a lot of those things aren’t really snow, but you can’t separate them from snow either. 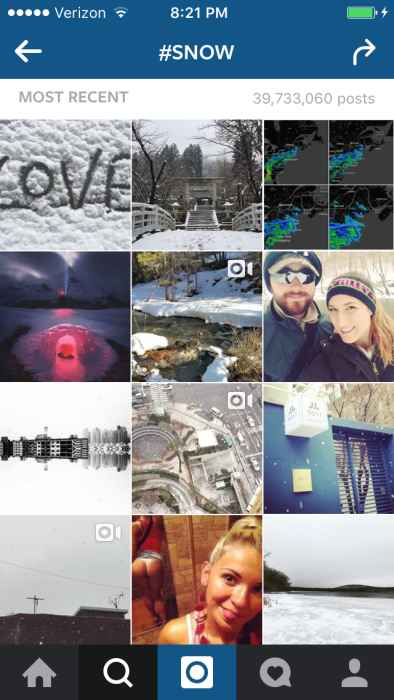 If you have never seen snow, look on Instagram #bengsnow. I will put up some pictures of what I think snow is. If you live where there is snow, put up your own pictures of #bengsnow. Let’s help our no-snow friends know snow.